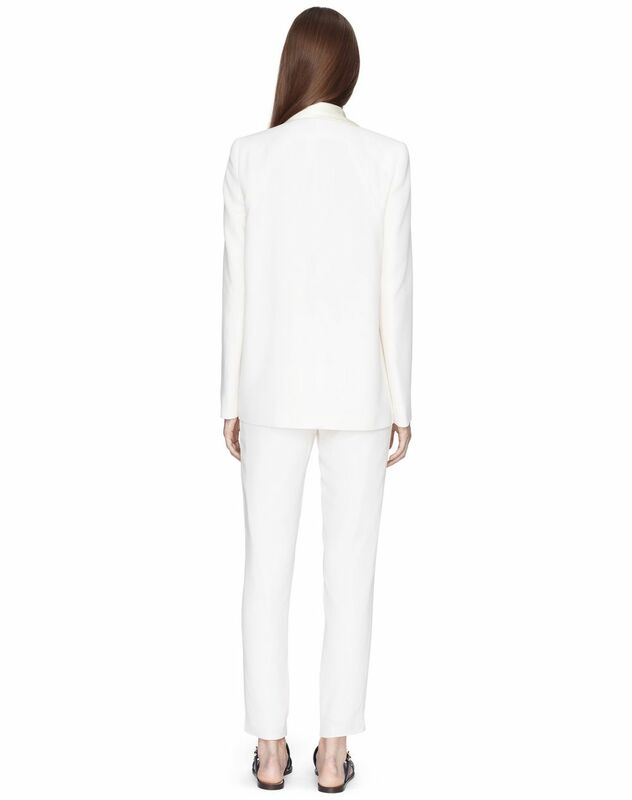 Cream satin crepe tailored trousers, high waist, tone-on-tone pockets set into the seams, invisible hem, invisible zip fastening on the left side, and silk lining. 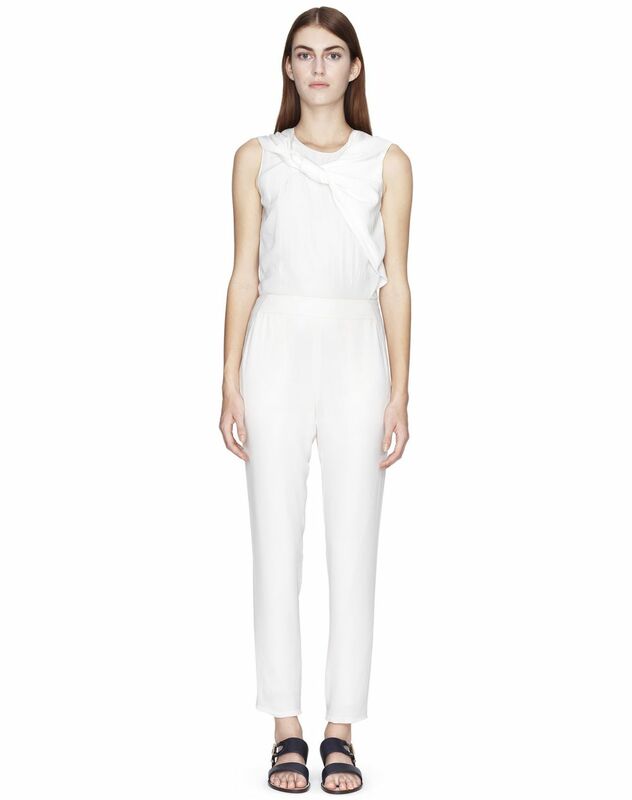 These tailored satin crepe trousers combine softness, elegance and femininity. 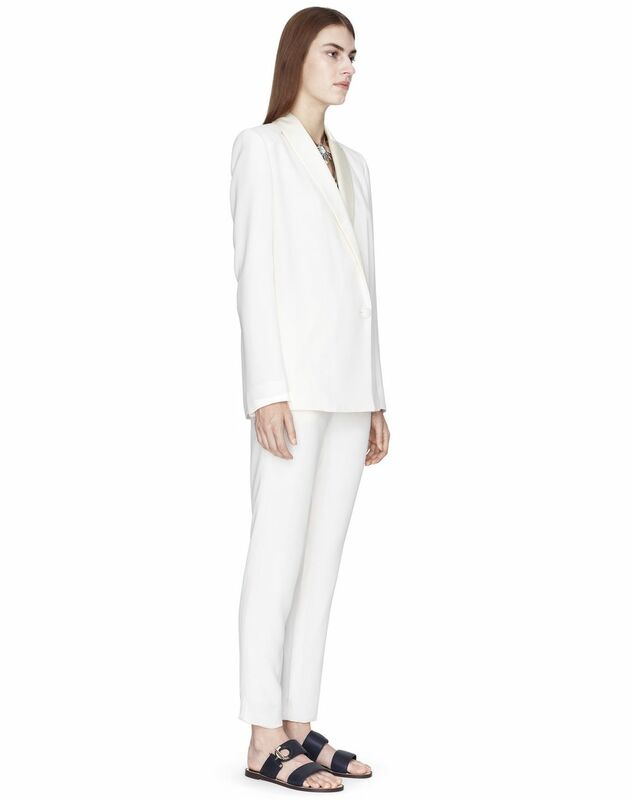 The satin look of the material combined with its white colour lends this timeless piece subtle radiance. 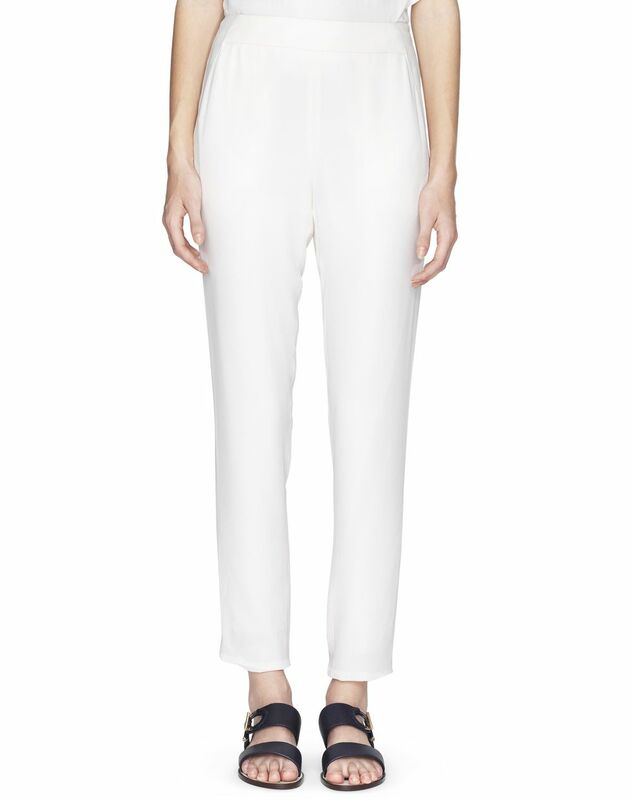 These trousers stand out as an essential for any woman's wardrobe and are perfect for both day and night. Main material: 61% viscose weave, 39% acetate weave. Lining: 100% silk weave. Model's measurements: Height: 178 cm Chest: 84 cm Waist: 59 cm Hips: 88 cm Model wears a size 4. Made in Spain.